Es war ein Testballon – die erstmalige Teilnahme der MEKU Technologie GmbH auf der i+e 2019 in Freiburg. Und es hat sich gelohnt. Während der drei Veranstaltungstage konnten wir zahlreiche interessante Gespräche führen, neue Kontakte knüpfen, alte Kontakte erneuern. Gerade die Kunden der ehemaligen Mühlan AG, die 2018 von MEKU übernommen und als MEKU Formenbau Werkzeugbau GmbH in die Unternehmensgruppe integriert wurde, ließen sich von unseren Kompetenzen und den Möglichkeiten, die die MEKU Gruppe bietet, überzeugen. Die Messe hat einmal mehr gezeigt, dass der Südwesten Deutschlands und die Nordschweiz einen der stärksten Cluster der Zulieferindustrie, Fabrikausrüster und Automatisierer bilden. Und wir sind stolz dazuzugehören. 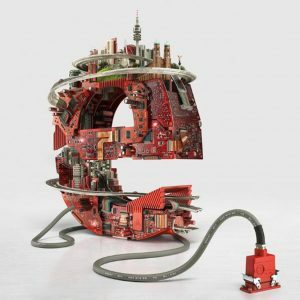 Die Teilnahme an der i+e in Freiburg ist eine (Heim-) Premiere für uns und für Sie hoffentlich Anlass, uns auf unserem Stand zu besuchen. Weshalb sollten Sie das tun? Weil sich im vergangenen Jahr bei uns so einiges getan hat: neueste Entwicklungen und Produkte, überzeugende Case Studies (Erfolge für unsere Kunden) sowie die strategische Weiterentwicklung der MEKU-Gruppe. 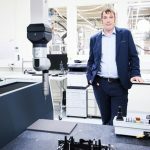 Denn die MEKU Technologie hat im vergangenen Jahr den Geschäftsbetrieb der Norbert Mühlan AG, Denzlingen übernommen und das Unternehmen als MEKU Formenbau Werkzeugbau GmbH in die MEKU Gruppe integriert. Als Teil der MEKU-Gruppe ergeben sich somit zahlreiche interessante Möglichkeiten, die wir Ihnen gerne auf der i+e 2019 vorstellen möchten. Elektronik, Kunststoff, Metall, Mechatronik. Der One-Stop-Shop von MEKU. With an increase in visitors of ten percent and with a total of 80,000 visitors, the electronica 2018, which ended on November 16th in Munich, was the largest electronica of all time. MEKU Technologie GmbH won over their visitors with a clear, conversation oriented booth concept. Customers, interested parties and MEKU employees met at the long counter for discussions and exchanges while having coffee and Cantuccini from small manufacturers as well as water or beer from sources and breweries from our region. In our view a very successful fair. We look forward to the continuing discussions with our business partners and to the electronica 2020! The MEKU Group continues its strategic growth. 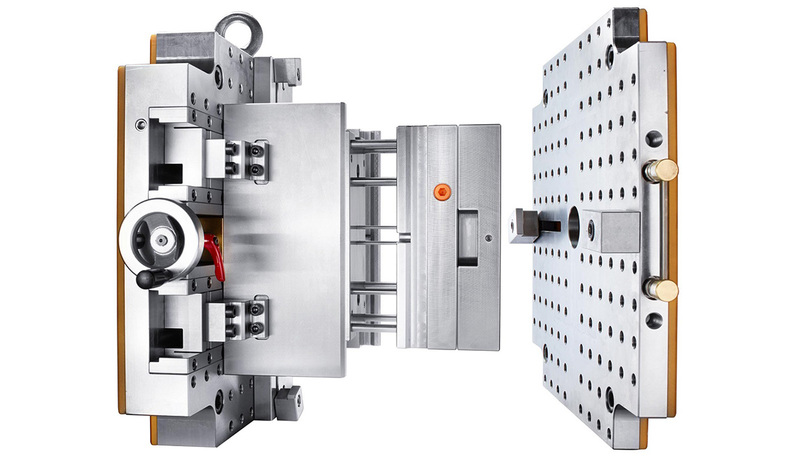 Following the successful integration of the Weisshaar Group, MEKU has now taken over Norbert Mühlan AG, mold making and tool making in Denzlingen. 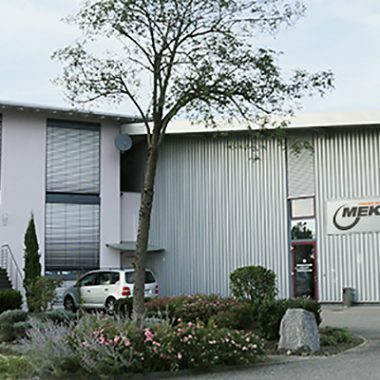 Through this strategic acquisition, the MEKU Group strengthens its competency centre plastics and expands its capacities in the area of mold making and tool making, in the production of complex assemblies as well as in maintenance. 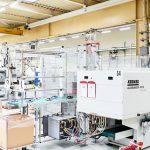 The technological know-how of the 22 Mühlan employees, who were all taken over, supplements and expands the existing and is the perfect complement to the capacities at the locations Villingen-Schwenningen and Stockach. Due to the extended capacities and the gained know-how, MEKU is well prepared for the growing market requirements, because the increased flexibility and process reliability guarantee that MEKU can meet quality requirements of their customers as well as its own to the highest degree. The acquisition of Norbert Mühlan AG also creates the basis for expanded market access and strengthens MEKU’s position as a value-creating partner and system supplier. The Competence Center Plastics is breaking new ground in the production of very small series and prototypes. In order to be able to work more efficiently and cost-effectively, the plastics specialists at MEKU tested Hasco’s A8500 Clever Mold System over a longer period of time. 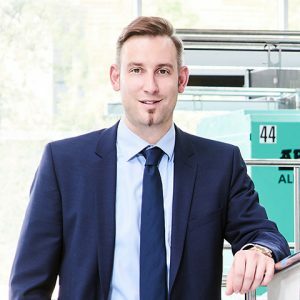 “We were looking for a solution to significantly reduce our set-up times on our injection molding machines and increase our flexibility,” explains Matthias Jäger in an interview with the industry magazine “werkzeug & formenbau”. In the recently published article, the authorized representative and Head of Sales & Development reports on the experiences that have been made while testing the Clever-Mold System and why MEKU Kunststoff has decided in it’s favor as a permanent solution. “Tools and production can now be far better aligned to a holistically optimized production,” Jäger summarizes the benefits of the clever system, which is based on its own tool philosophy, that has really convinced the specialists at MEKU. 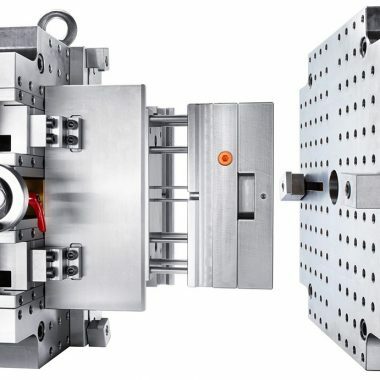 By using the Clever Mold System, production and tool production can now not only be created from the perspective of just one assembly: “We are now in a position to take better account of the whole situation on the machine.” In addition, the Hasco system allows the plastics experts to redefine the handling of the number of pieces: this can be made significantly more cost-effective, as the system makes a growing tool solution as well as a short reaction to changing market conditions possible. “Innovation Driver with Practical Touch” was the headline to the closing press release for the 25th Fakuma trade fair. This might well have been a description of the MEKU stand at the traditional industry meet, where the focus was on showcasing the MEKU Group as the “value-creating partner for that decisive +”. The MEKU stand presented a range of technologies and solutions. The emphasis was primarily on the topic of plastics but in fact extended far beyond to cover the group’s development expertise in general, as exhibited by the complex assemblies on show. The general feedback from the customers, suppliers and business partners who visited our stand clearly demonstrated that they fully recognise and value the advantages offered by our perfect synergy of metals, electronics and plastics. This provided confirmation that MEKU has clearly positioned itself as a system supplier along the entire value chain in the development and manufacture of complex plastic injection-moulded products, electronic applications, and mechatronic assemblies and systems. MEKU begrüßt eine weitere Generation von Azubis, die in Eching und Villingen-Schwenningen ihre Ausbildung begonnen haben. Andreas Adelsberger (Werkzeugmechaniker Fachrichtung Stanztechnik; 3. von links) und Jacob Andresen (Maschinen und Anlagenführer; Bildmitte) vervollständigen das Azubi-Team in den Kompetenzzentren Metall und Mechatronik am Standort Eching. Bereits im zweiten Lehrjahr werden Sam Durner (Maschinen und Anlagenführer; 2. von links) und Thomas Knoll (Werkzeugmechaniker Fachrichtung Stanztechnik; 2. von rechts) von den Ausbildern Simon Meßner (links) und David Katzenbogner (rechts) angeleitet. Im Kompetenzzentrum Kunststoff startet gleich ein Sextett ins erste Lehrjahr (von links nach rechts): Marcel Schmelzer (Fachkraft für Lagerlogistik), Lisa-Marie Schuster (Fachkraft für Lagerlogistik), Simon Dinkel (Werkzeugmechaniker Fachrichtung Formentechnik), Fabienne Borrmann (Werkzeugmechanikerin Fachrichtung Formentechnik), Moritz Beutelspacher (Verfahrensmechaniker für Kunststoff- und Kautschuktechnik) sowie Daniele Fanello (Verfahrensmechaniker für Kunststoff- und Kautschuktechnik) verstärken unsere Mannschaft am Standort Villingen-Schwenningen. Wir freuen uns auf Engagement, Ideen und frischen Wind.